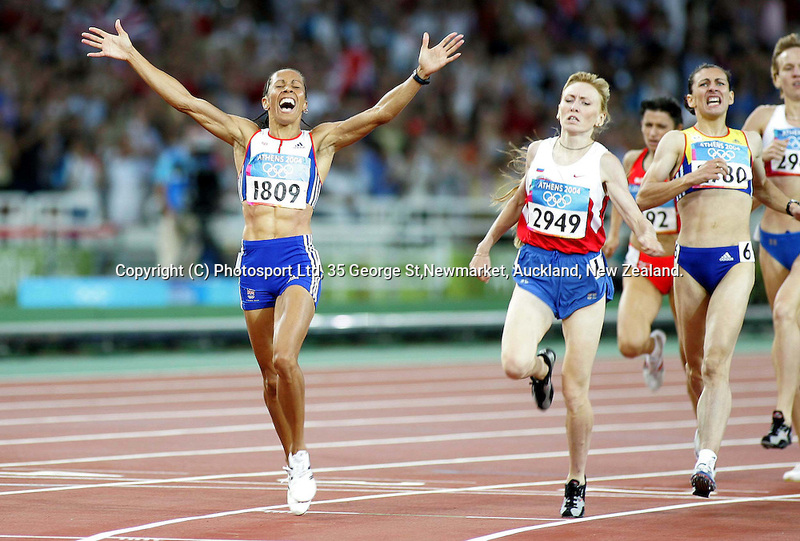 Kelly Holmes wins the Women's 1500m Final. Olympic Stadium, Athens, Greece. (C) Photosport Ltd, 35 George St,Newmarket, Auckland, New Zealand.